I rarely read books in my leisure time and I feel that most of my friends have been so caught up with their work that they've also lost the habit as well. It seems that beyond the amount of reading we are required to do for class , it seems ever so burdening and time consuming to open up a good book. 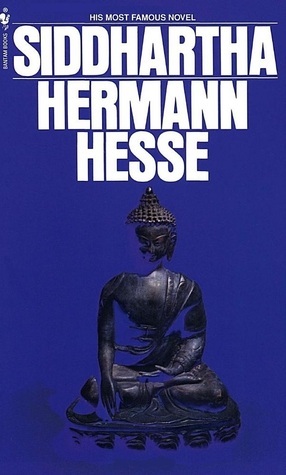 So it caught me by surprise when one of my friends (I'll name him, Vishnu Dantu) brought it up that I should read this book called Siddhartha by Herman Hesse. He said it was a fiction novel about the search for meaning. He told me that his brother recommended the book, and he wanted to tell me all about it. Being fairly confident that I would never read the book on my own, I let him reveal the plot.He narrated the entire thing from beginning to end, and the entire time I was in awe of the main character and his story. At the end of my friends narration, I knew the story from beginning to end, but I still felt that I should pick up this book and read it for myself. The next day I drove to Barnes and Nobles, sat down, read Siddhartha, finished it, and bought the book. It's an well-written piece of literature that spurred my thought with some important morals. I spent my time worrying about doing the meaningful, and if I'll ever be able to attain my goal. I know that there are so many things I want to do, but I ponder if I will ever be able to reach them. I've read spiritual books about saints and modern day heroes such as Gandhi and of their vision. One thing that these texts had in common was to be free of desire, and let go of the senses. This isn't too surprising, after all, isn't leaving desire and attachment behind what allows us to reach nirvana? But...we are human after all, how is that even possible? When you leave desire, doesn't that mean to detach yourself from everyone and everything? It doesn't seem very plausible for the common person to embark on that path. Yet I know that we go to the temple, we pray to the gods, and somehow we expect to reach that final state of salvation. My mother performs her daily puja(prayer) nearly every day, and reads a lot religious scriptures and listens to a lot of spirtual talks, but to me, it doesn't seem to be adding up to anything. How are we to follow the teachings of the saints without experiencing what they had to come to those final teachings? This is same question that Siddhartha , the main character of Siddhartha begins with on his journey to gain more knowledge. 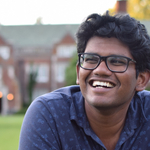 I knew that after the first chapter, I was hooked, because somehow Siddhartha was going on a journey to find answers, and as a reader, they're answers that I wanted too. You'll have to read for yourself to get your own interpretation of his answer, but I think that I came to a sufficient conclusion that answered my questions. The book had a lot of central themes, but there were a couple that really stood out to me. In the Hindu and Buddhist scriptures, it is often described that world is illusory and everything . Everything falls under this idea called maya. So I think it's fair to think if we are trained to think that everything as an illusion, then we don't need to need worry about desire, because desire is just made up right? This was a concept that was challenged in the book, and it convincingly makes the argument that desire and thought must co-exist to develop a worldly vision. Wisdom and knowledge were two concepts that I often took for granted. You read a book and you gain knowledge, and you learn from the book, you gain wisdom. The distinction that is presented in Siddhartha between the wisdom and knowledge lies with experience. The crux of the novel is based on Siddhartha heading out on a journey to experience lessons and that you can't teach wisdom.